“I’m a Mechanical Engineer specializing in system dynamics and controls,” says Ara. “But since my father is a machinist, skills like traditional machining and fabrication were engraved deep in my roots at a very early age. I’ve also always been very inspired by automotive designs of the 50s and 60s, both artistically and from a fabrication stand point.” It should be no surprise that after his graduation, Ara hunted high and low for a project that was both old school and low tech to keep him occupied. 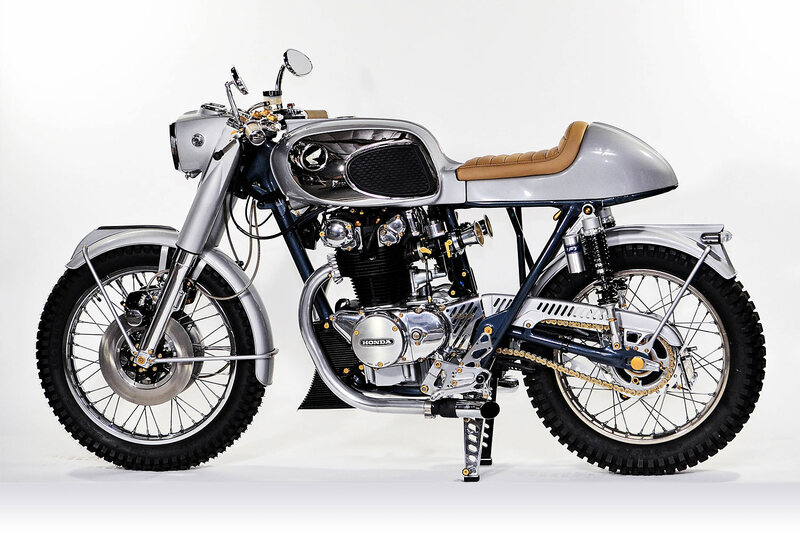 In a story that we’ll probably never tire of, Ara found the ’71 Honda CB450 K4 in an old Californian shed. “I noticed the bike for sale on Craigslist. The seller had found it on a ranch in Northern California, where the bike had apparently hibernated for 25 years or so. Cosmetically it was in very poor condition, with the engine and all the chrome heavily oxidized.” But not for long. 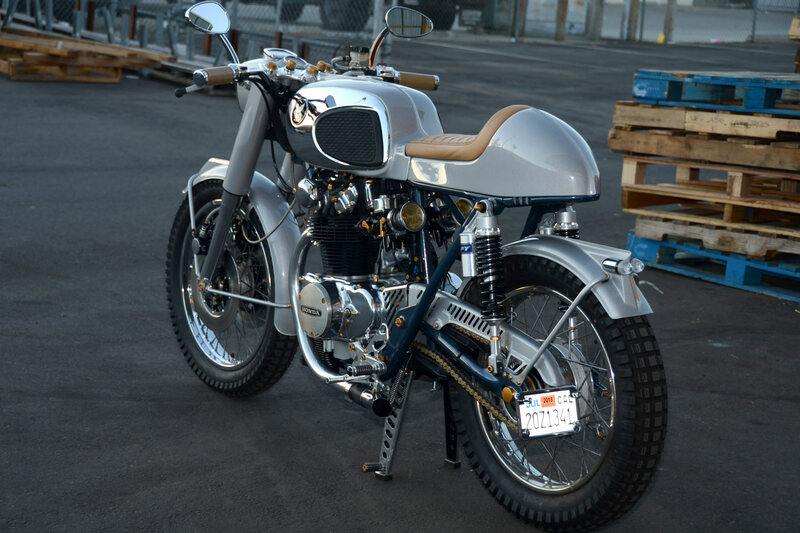 “The project’s inspiration was taken from the design of the Honda Dream bikes from the 50s and 60s. 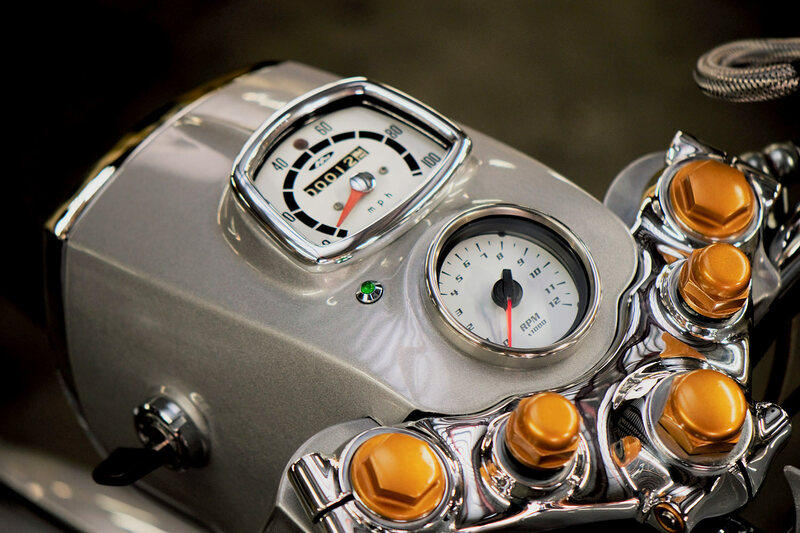 “The square headlight bucket housing the speedometer and the chrome gas tank with rubber knee pads. But those older Honda motorcycles were pretty challenging, mechanically. 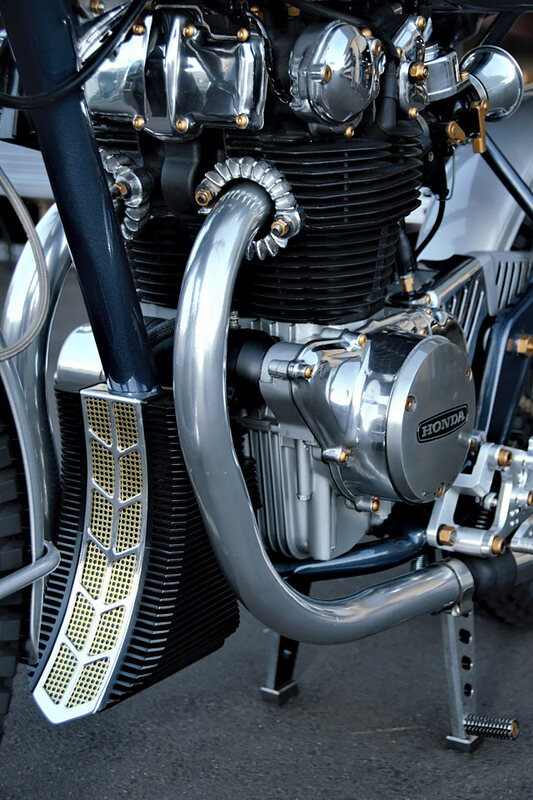 The later CB models improved in terms of their sturdier tubular frame, telescopic front forks, front disc brakes and a dual overhead cam engine. 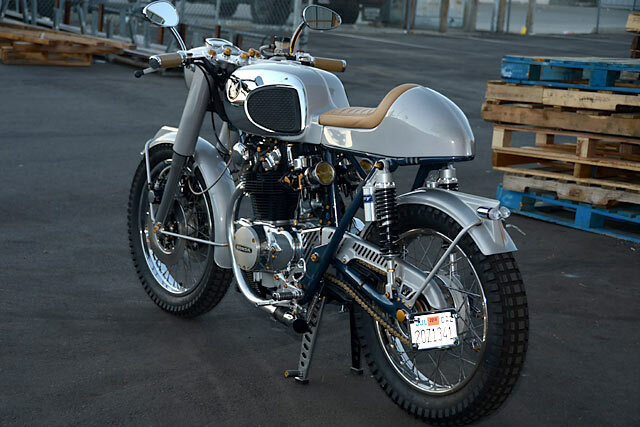 But as nice as the CB bikes look, they lack the cosmetically appealing details that the Dream bikes possess.” The objective of the project? 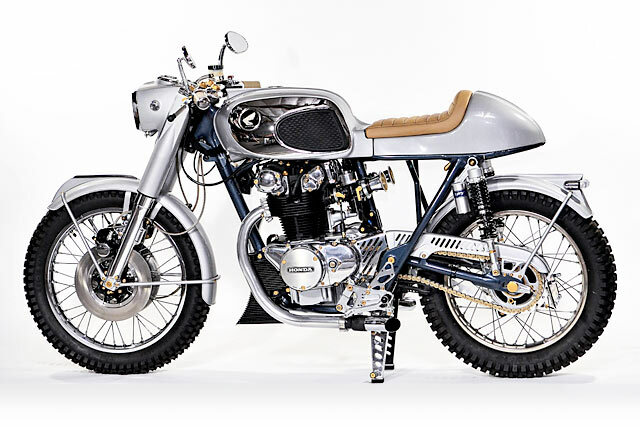 To build a cafe’d CB450 that looked like a Honda Dream. Kicking off the build, Ara lightened the CB frame by removing all the unnecessary guff while adding cross-frame bars to stiffen things up. Then, after smoothing out all the factory welds, the frame was finished in a Honda metallic blue. 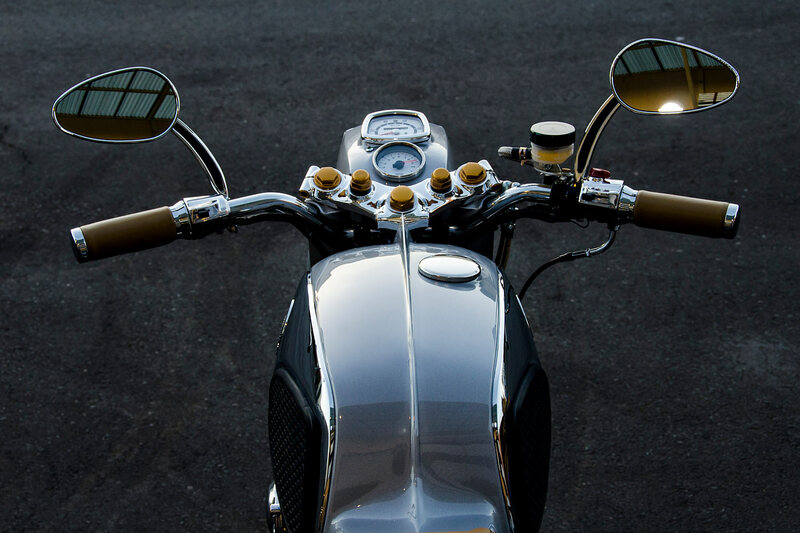 The front brakes were upgraded to dual discs and a scoop and vents were added to improve the cooling of the rear drums. Next, the front forks were fully rebuilt and the rear suspension was upgraded via progressive coil-overs with nitrogen dampeners. 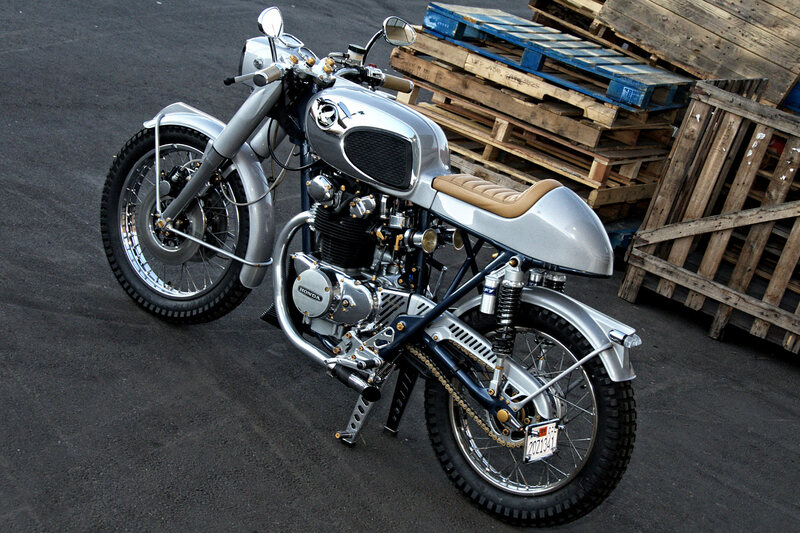 “The fork covers are custom fabricated and are inspired by rocket designs of the 50s,” smiles Ara. Then the engine was rebuilt and the ignition system was upgraded to a 21st Century electronic system. 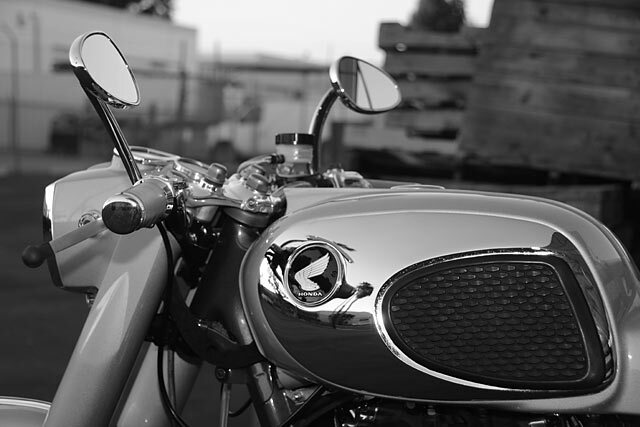 The front fender was moved closer to the front wheel, and a fin was fabricated and topped with some polished trim. The rear fender started its life as the front fender of a Yamaha XS and was retrofitted with another fin that transitions into the bike’s taillight. The more observant of you will notice the ‘59 Cadillac Eldorado influences. “The gas tank, front headlight bucket and speedometer are from a ‘63 Honda Dream, which have been heavily customized to fit the build. 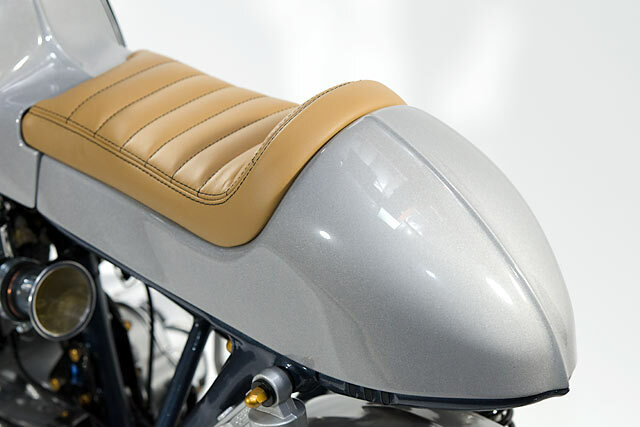 The seat cowling is from a ‘50s Harley Davidson Aermacchi, customized with a subtle fin to flow with the tank.” The completed body was finished in Honda Starlight silver, also lending its name to the project itself. Ara notes that the hardest part of the build was getting the DuPont paint to look right. “The tank and the seat cowling were repainted three times, with new coats of primer in between. 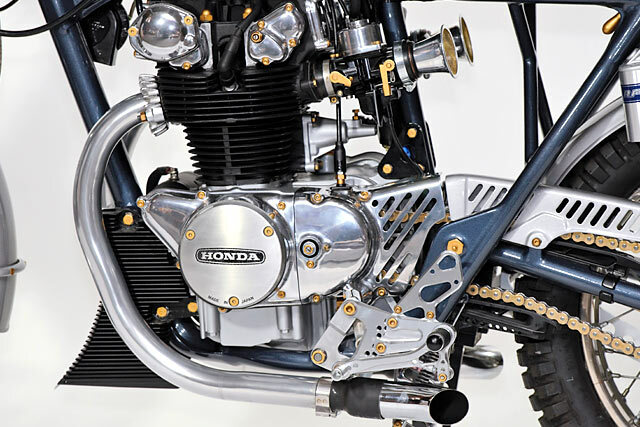 As elegant as it looks now, it was extremely difficult to get that translucent silver Honda color to look consistent across the whole bike”. “The flow of the Honda’s lines is what really makes me smile,” says Ara in closing. 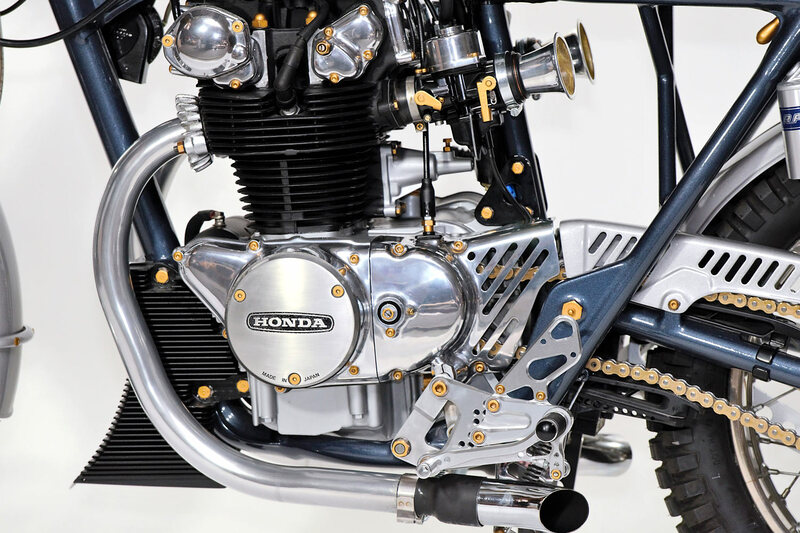 “Every part that was added to the bike was done so to keep the flow of the lines consistent with existing lines on the bike. For example, the lines that the fins create over the fenders flow with the horizontal line created by the bottom of the seat cowl and the tank. 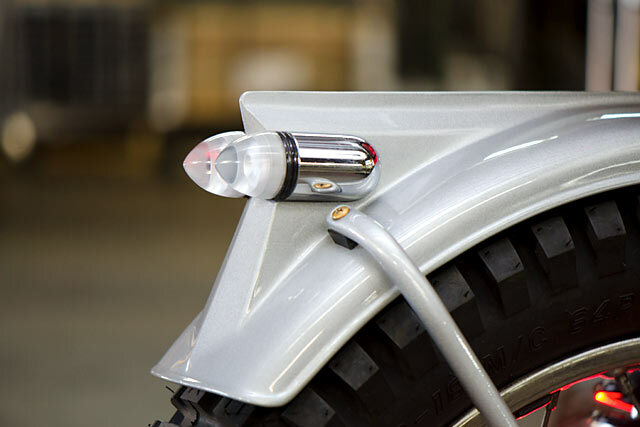 The bars holding up the rear fender are parallel to the frame. 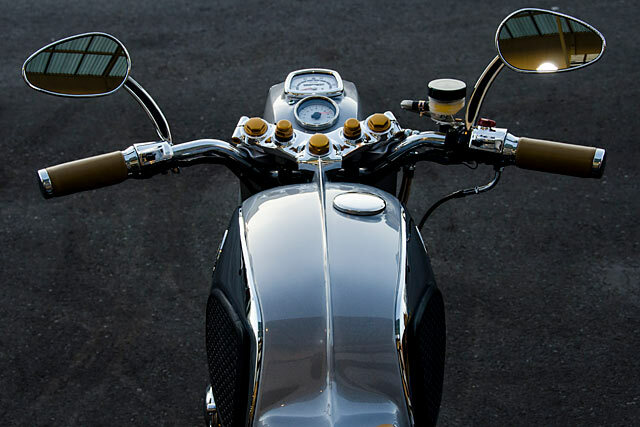 And the front and rear fenders are designed to show symmetry with each other”.